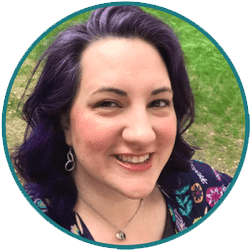 Iron your fabric scrap--you'll be a sad panda if you have a big crease down the middle of your finished product--and lay it facedown on the table. Put a handful of batting on top. 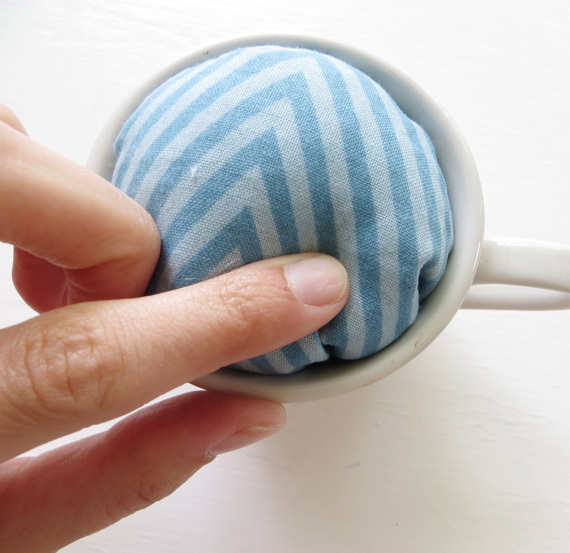 Stuff the blob of cozy goodness into the teacup with the gathered end pointing down. 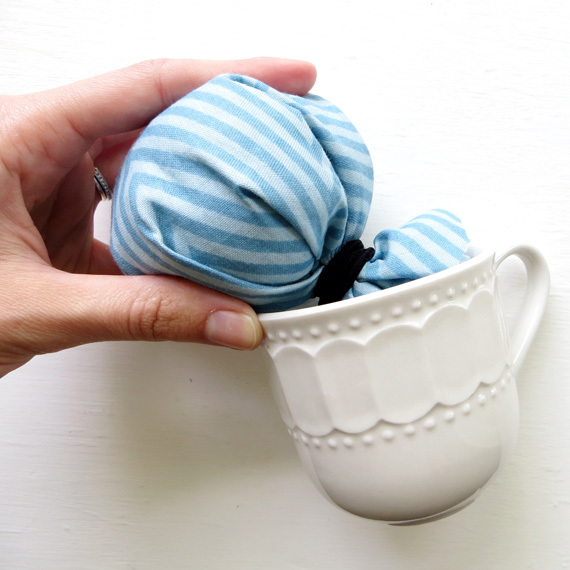 The fabric ball should be larger slightly larger than the cup opening. 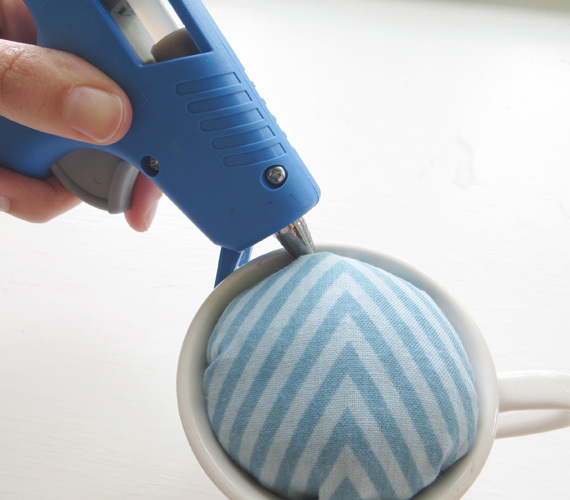 Stick the hot glue gun between the cup and the fabric, and squeeze out a dot. Repeat this every inch or so to keep the ball o' batting securely in the cup. 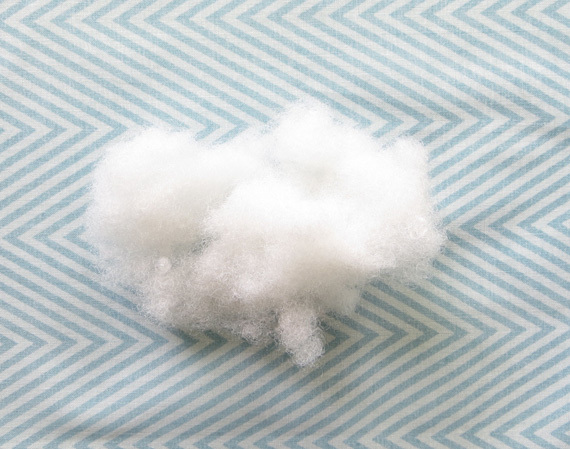 Smoosh the fabric into place as you go, if necessary. And that's it! I wasn't kidding when I said this one was easy. If you can dodge a wrench, you can dodge a ball! 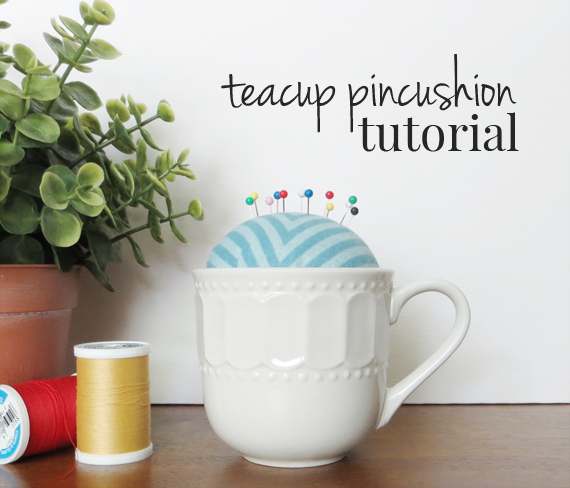 use a rubber band, you can make a pin cushion. I kept this one for myself, but I might whip up a few more as gifts for my crafty friends and family members. 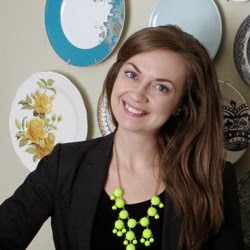 Adorable teacups are easy to find at thrift stores, and we already know that a mountain of leftover fabric can happen to the best of us. 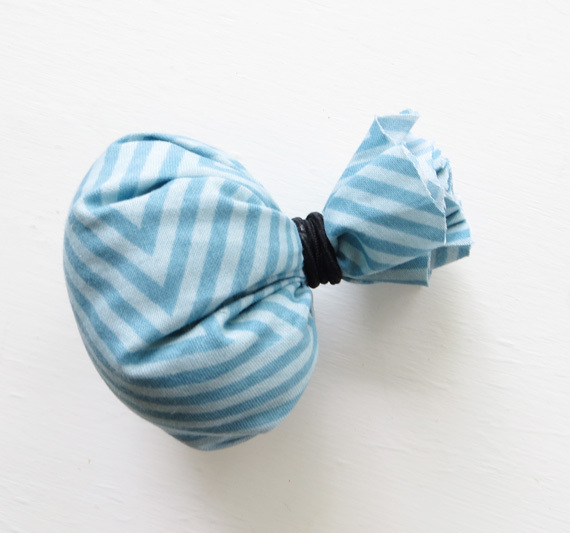 I think this would also be cute as part of a "my first sewing kit" gift for a kiddo (or adult!) who wants to learn. 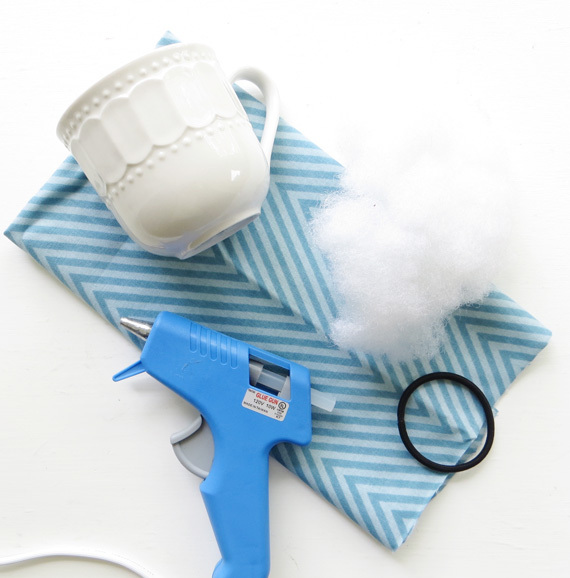 What do you like to make out of leftover fabric? 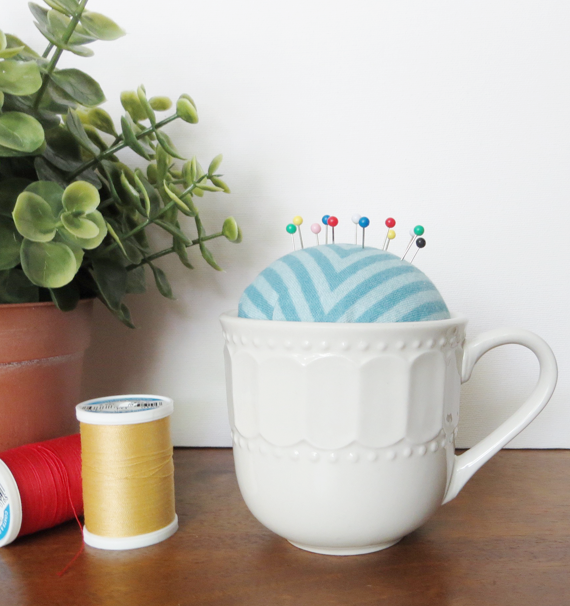 Have you ever made your own pin cushion?